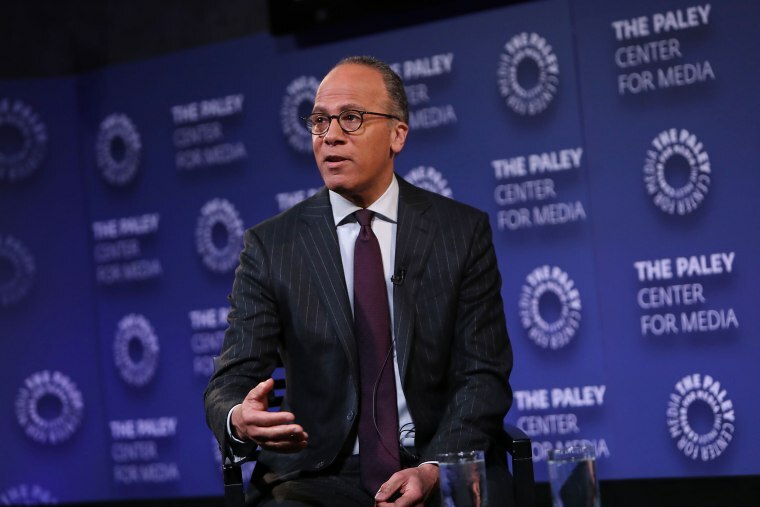 NEW YORK — Lester Holt spoke on his career and being the captain of the "NBC Nightly News" — as the show celebrates 70 years — at the Paley Center for Media on Wednesday night. During the Black History Month event, Holt reflected on his time as both a reporter and anchor, the struggles of planning a nightly newscast, juggling "Dateline" storytelling in a digital age, and combating the spread of propaganda. When asked about being the first African-American solo anchor of a weekday network nightly newscast, Holt said he is honored and inspired by the impact his career had made beyond the anchor desk. “Kids can now look around and see someone who looks like them on TV,” he said. Saying he himself was inspired by journalists like Bernard Shaw, Bryant Gumbel, and others, Holt reflected on the impact of African-Americans in media. He also spoke of challenges he faced as a journalist of color. “There were periods of my career where there was just pressure to define myself as a black journalist and I pushed back at that because I knew I wanted to succeed and not be defined by my color,” Holt said. "I think if any of us are going to succeed, it’s going to be on a broad scale." NBC News Chief Foreign Affairs Correspondent and MSNBC anchor Andrea Mitchell, who moderated the discussion at the Paley Center, called Holt "the most undemanding, normal person I have ever met and a superb journalist." "Lester’s career is one of always being on the ground and getting the story, but always having empathy for the people he is covering,” Mitchell said. "He never loses sight of the people and of their situations. He always goes to the story." A native of Sacramento, California, Holt started his career in radio and landed his first TV reporting job in New York in 1981. He was named anchor of "NBC Nightly News" in June 2015 and has anchored “Dateline" since 2011. Holt also spoke on the advice he gives aspiring journalists and stressed the importance of writing and storytelling as "the heart" of what journalists do.